This article was first published in Hype & Stuff on 1 April 2017. 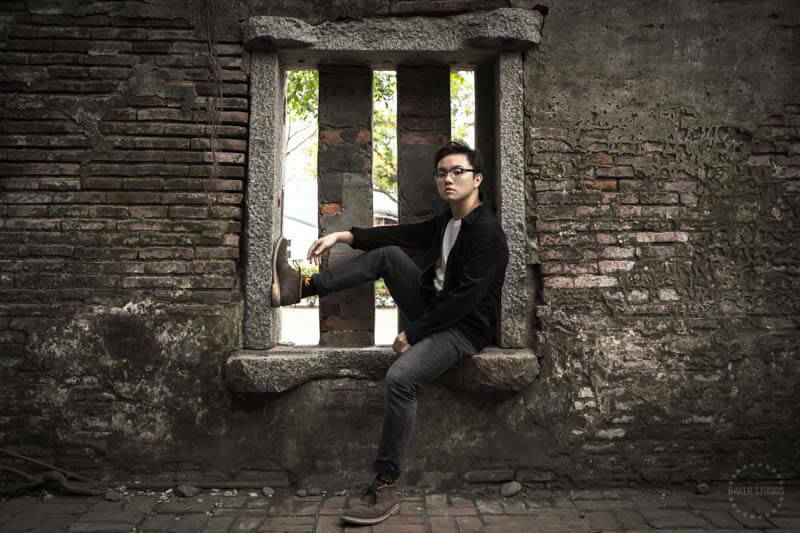 Taiwan is many things; she boasts a robust culinary identity that stems largely from her thriving night markets to modernised hipster eateries, to top that, she helms several of the world’s most breathtaking sceneries in and out of the city, she also possesses a pool of friendly local and a culture uniquely her own. It’s hard to dispute but Taiwan is never anything lack of entertaining. While Taipei, Taiwan’s capital city, remains a popular destination amongst tourists, there are plenty of gems that hide in Taiwan’s lesser travelled states such as Tainan and Kaohsiung. Here are some of the few highlights. Once a former warehouse that belonged to Tait & Co Merchant House, the Anping Treehouse is now synonymous to a beautiful mess that stemmed from years of neglect. 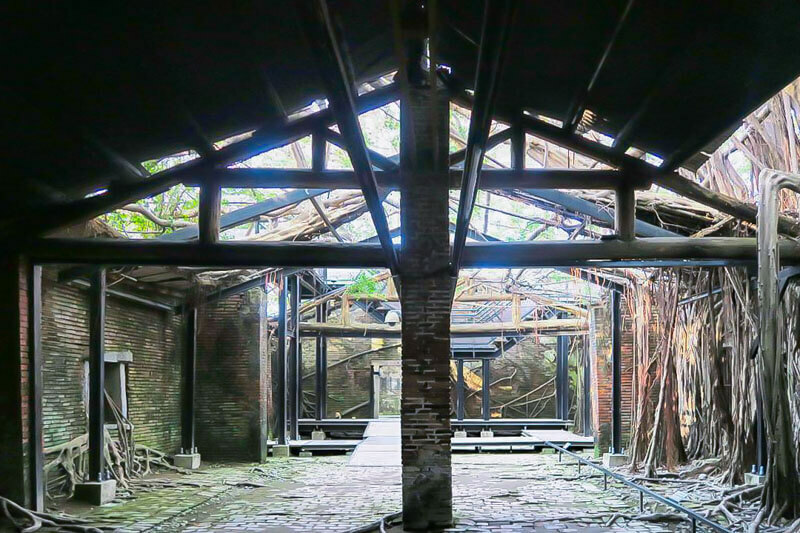 Taken over by several banyan trees, the former salt production factory holds a derelict charm and has been converted to a tourist attraction. Here, you’ll be sure to be surrounded with an abundance of overgrowth where the roots of the Banyan trees conquered. Take some time to explore this maze of dangling roots and vines that now conquer the walls of the building. There’s even a staircase that will lead you to the upper deck to witness the Banyan trees in all of its glory. I don’t know about you but I see this place perfect to step up my #ootd game. Cycling is just another part of Taiwan’s diverse pool of cultures. While Taipei remains one of the best metropolises in Asia for cycling, there is still certain subtle beauty cycling within the streets in Tainan. 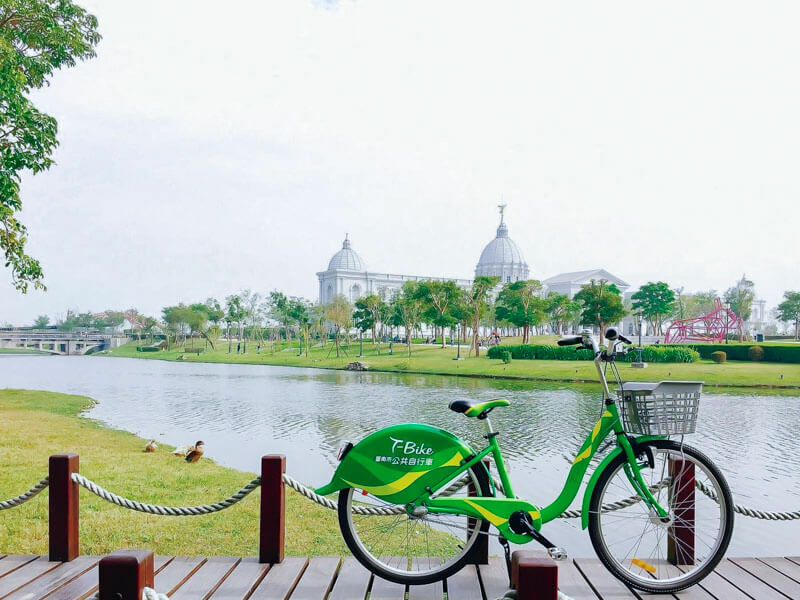 The former capital of Taiwan promises cyclists a never-ending surprise as they cycle past several ornate temples, narrow alleys that seem to have a life of their own and Tainan’s whimsical neighbourhood parks. 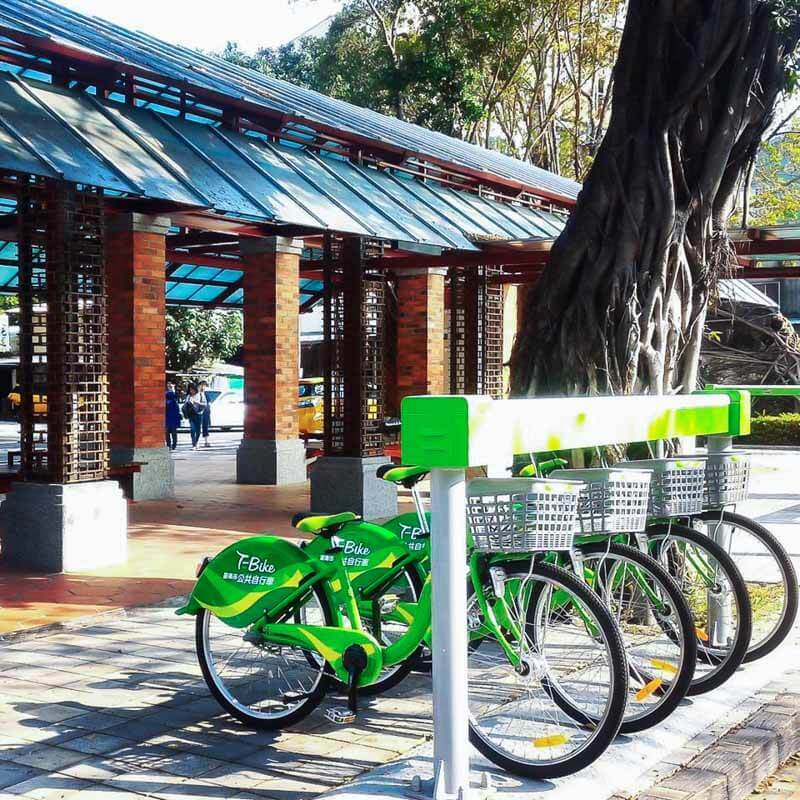 You can choose to rent T-bikes in Tainan at NT$ 50 (S$2.30) with your credit card for a ride within the vicinity for 30 minutes. 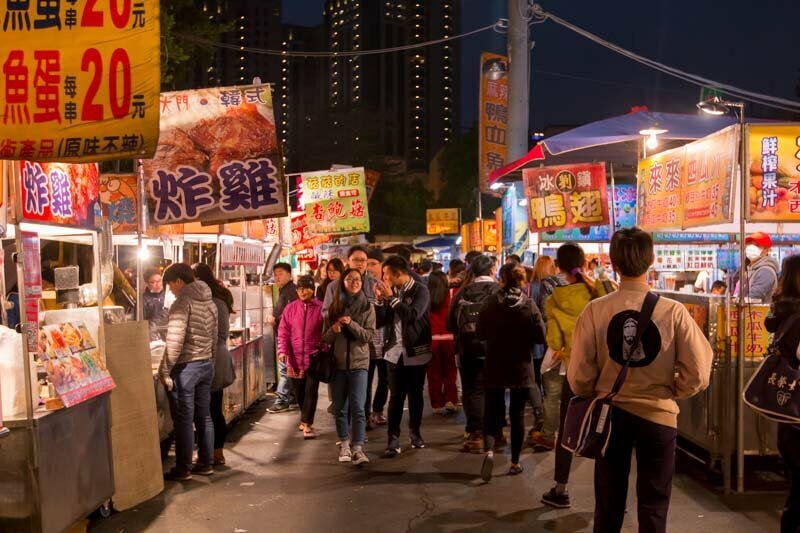 First-time visitors will encounter a brief moment where they are completely overwhelmed by the sights, smells and sounds within Taiwan’s night markets; like a freshly caught goldfish in the fluorescent glow from the stalls. Dadong Night Market is quite possibly Tainan City’s largest night market. 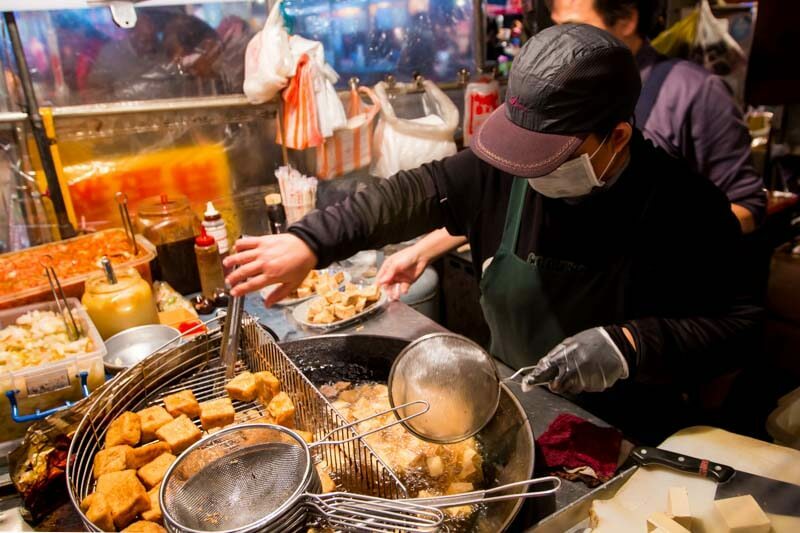 While Dadong pales in comparison with those in Taipei, she still offers a large variety of savoury traditional Taiwanese street fares such as such as Smelly Tofu, Oyster Mee Sua, Taiwanese Spring Rolls and more. If you are visiting with a group of friends, we suggest adopting the “divide and conquer” approach. If you are forever alone (like me), then come with an empty stomach. 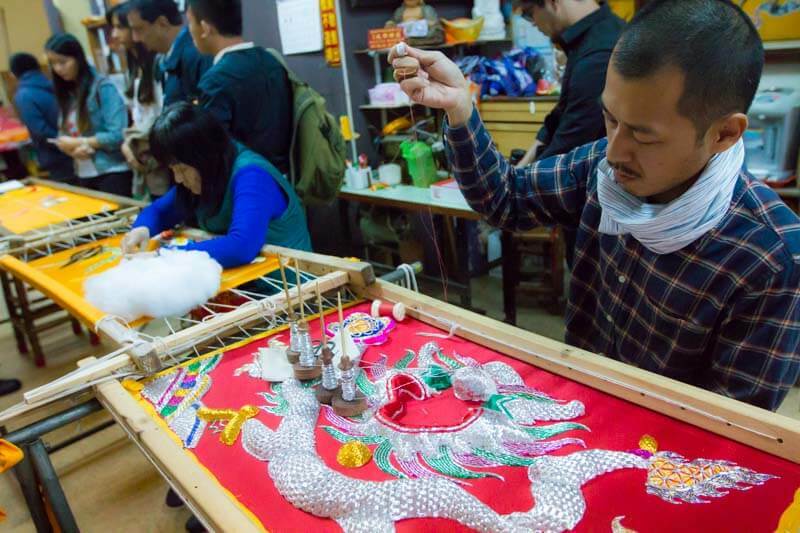 We’ve probably seen these elaborate banners in many temples in Singapore, but behind these ordinary looking embellishments lie a strangely sophisticated craft that seems to be catching on well with the youths in Taiwan. Little did I know that the craft of embroidery has been greatly modernised and even featured on fashion pieces that dominate the runway. At Illuminate Studio, you’re able to learn how to stitch up 3D objects with coloured threads, thin metallic wires and cotton balls. A half-day workshop costs NT$ 1500 (S$70) and you’ll be learning from the masters. Here at Xinmei Street, you’ll lose yourself to the rich culture of Tainan City — not from navigating through the narrow walkways, rather from all of the unusual and rarely seen sights. There’s a lot to take in. What stood out most amongst the hipster cafes and lodges or the various Taiwanese toy shops and bakeries were the craftsmen and their craft. 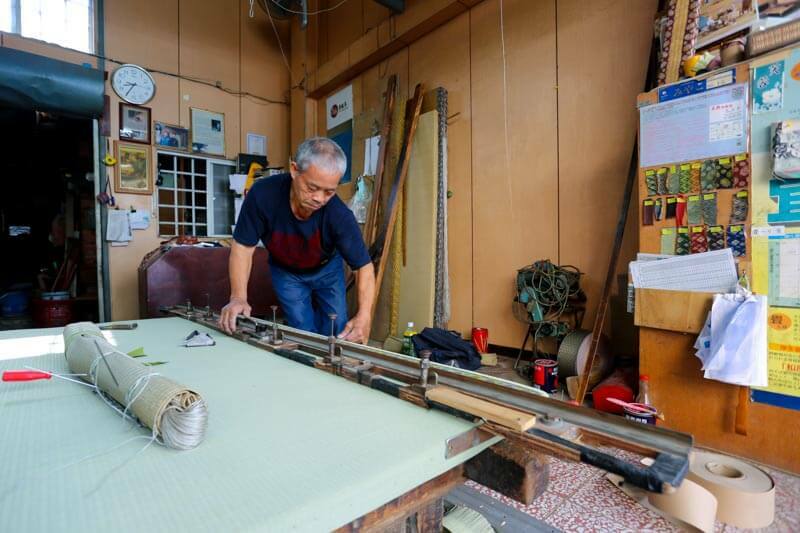 Pictured above is a 79-year-old tatami master who had practised the craft for more than half a decade. 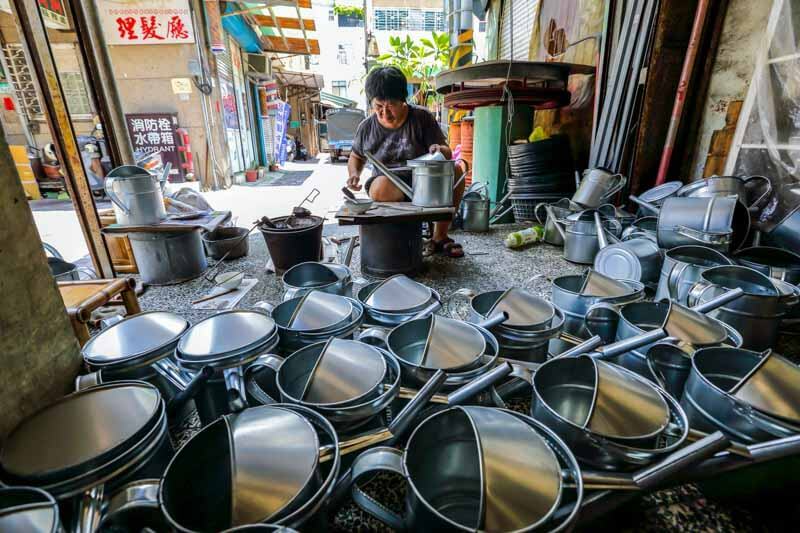 Then, there are the craftsmen who sit down on their wooden stools and piece together aluminium watering cans. Taiwan’s streets are filled with surprises. You never know what you will find at each and every corner of her many alleys. 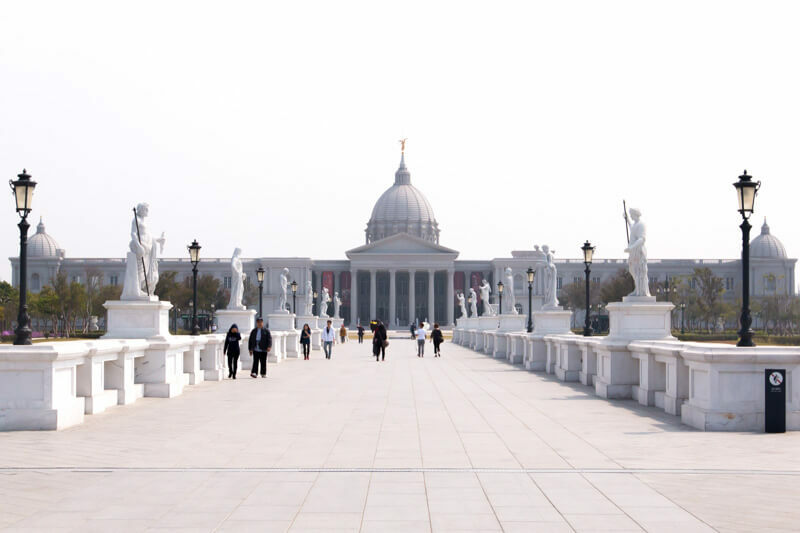 There’s only one word that aptly describes the Chimei Museum: Majestic. The bridge that connects the museum from the parking spaces is adorned with larger-than-life sized statues of Gods and Goddesses from the Greek Mythology. 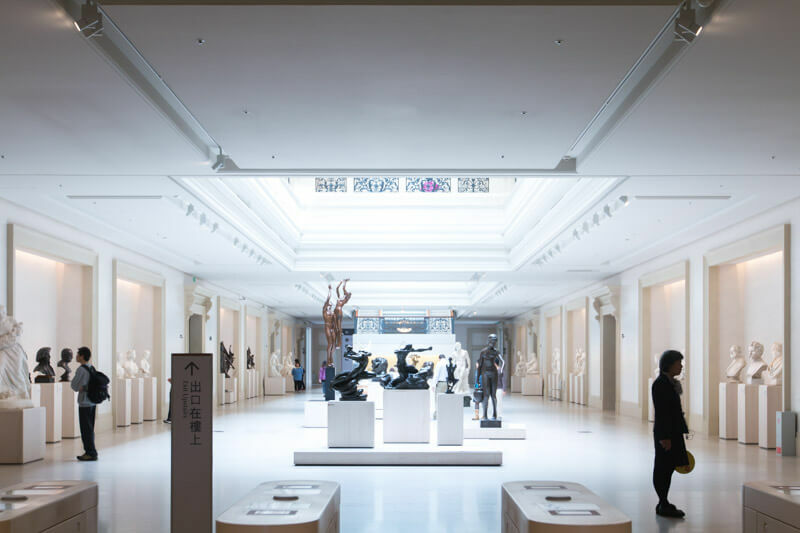 The Museum itself is colossal and showed characteristics of classical architecture; symmetrical stone columns, intricately carved decorations, domes and some white-washed stone walls. Housing the world’s largest violin collection, the museum is also home to a collection of arms and armours, animal taxidermies and fossils, paintings from the 13th to 20th century and more; I’m not kidding when I say that there’s a model of “The Thinker” inside. The downside, however, is that the museum forbids photography within its premises. But this shouldn’t stop you from snapping all your Instagram-worthy shots outside. 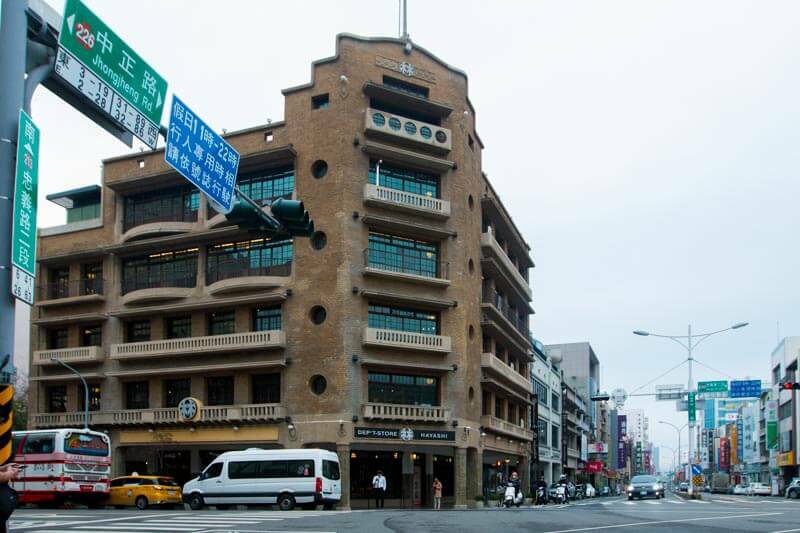 Did you know that Hayashi Departmental Store was the first departmental store in Southern Taiwan that had an elevator? It has since undergone several refurbishing but it still retains most of her original structures, such as her iconic elevator, floor tiles, stairway to the rooftop, windows and ceilings. The five-storey shopping mall houses a large collection of Taiwanese fashion labels, household items and souvenirs. That’s not all. The mall also features a Japanese Izakaya, retro cafe and a dessert and tea shop. 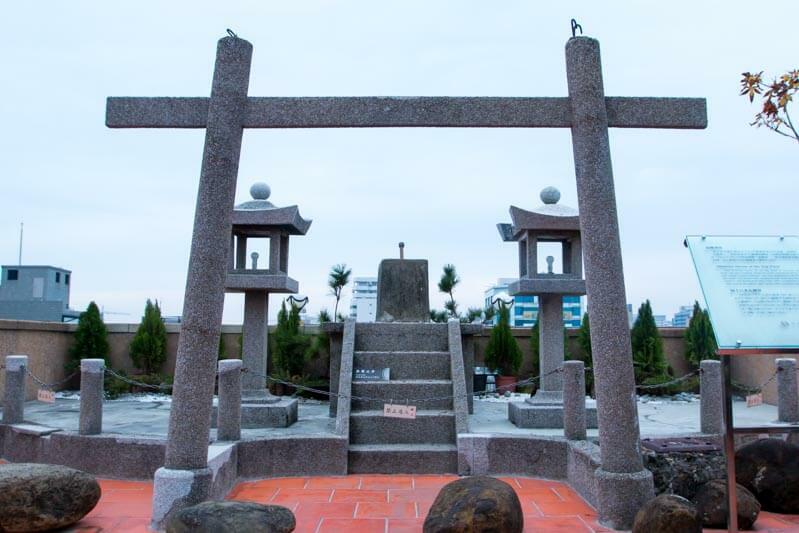 You can also visit the rooftop and to view the beautiful sights of Tainan’s streets. There’s even a Shinto shrine that was built in the Japanese Colonial Era. 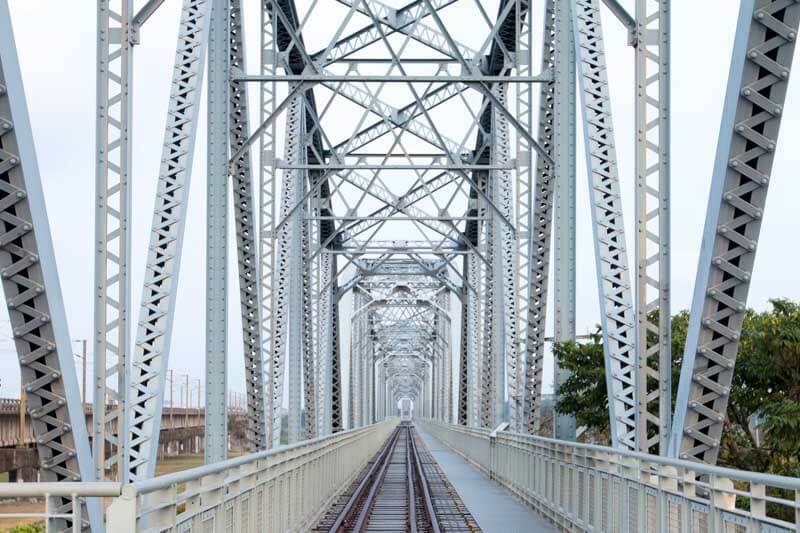 Dashu Old Railway Bridge used to be the longest bridge in Asia. That was in 1913, when it was first constructed for military transportation, she has since withstood the test of time. While it’s defunct now, the 1526 metres steel serpent now serves as an ideal photogenic spot for avid Instagrammers and photographers. With a gorgeous view overseeing the idyllic 120-hectre wetland park, it is no surprise that the bridge is also a popular dating haunt for young couples. 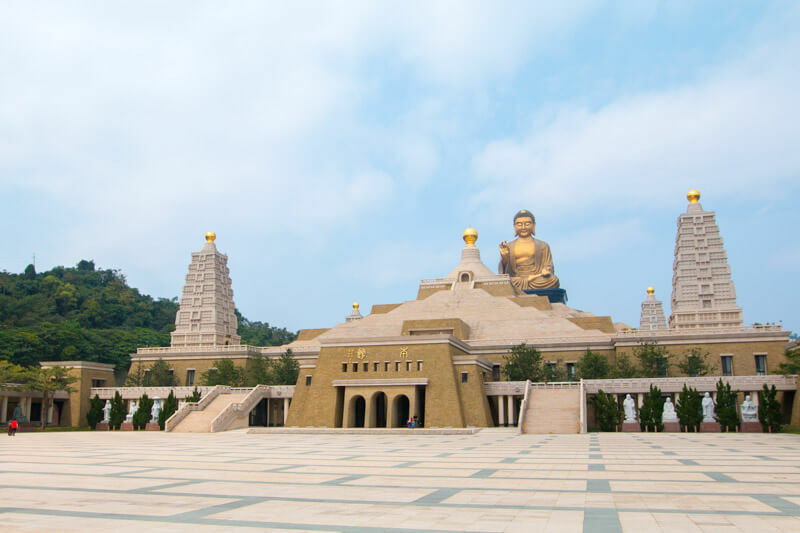 Fo Guang Shan Buddha Memorial Center (BMC, for short) is not your ordinary temple. It is a shrine to the Buddha’s Tooth Relic, it is a sanctuary for devoted followers and tourists to seek solace and teachings, it is also a festival ground that can befit more than 10 thousands visitors. 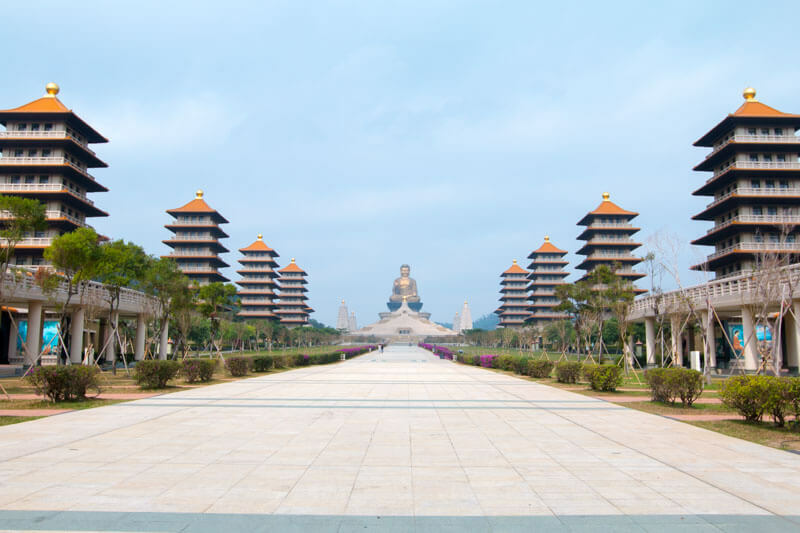 The Eight Pagodas that surround the 240 metres Great Path to Buddhahood represents the eight principal teachings of the Buddha, each of which stands 38 metres in height. Here’s where you can brew tea, witness a short video on Venerable Master’s One Stroke Calligraphy, and rest your feet from all the exploration. The Great Path then leads you to the colossal golden statue of the Buddha. Perhaps, it’s the otherworldly sense of tranquillity from the picturesque view it offers; regardless there’s something about this place that didn’t make me want to leave, albeit the throngs of tourists and local devotees. The delightful Meinong district sits on the North-eastern side of Kaohsiung City, within the quaint valleys where the lush mountains surround and local farm produce flourishes from the cooling atmosphere. 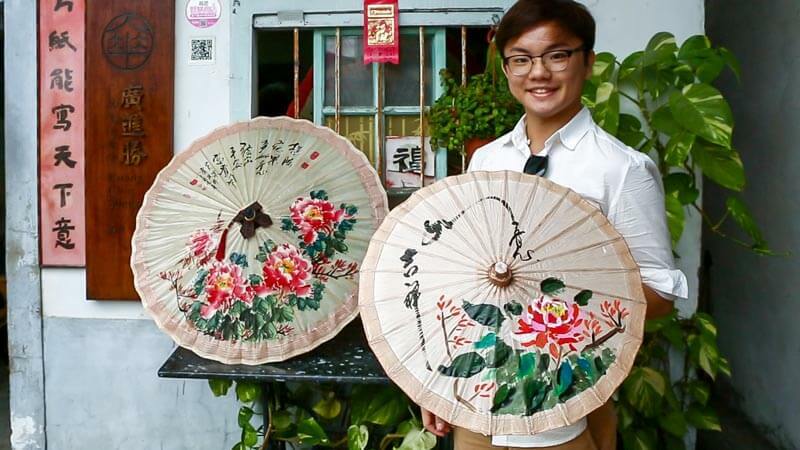 The area is also best known for its dainty hand-painted oilpaper umbrellas. 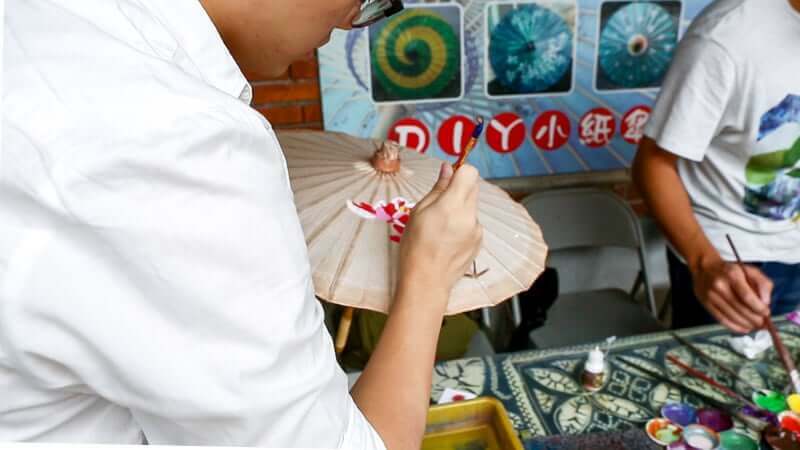 At Meinong u.k.s Umbrella Studio, you get the chance of letting your inner artist shine through the unorthodox acrylic painting on oilpaper umbrellas. At this intimate workshop, you are guided by professional craftsmasters from a branding widely recognised throughout the nation. I chose to mimic one of the craftsmasters’ work (because I lack originality): Red Peonies. Nonetheless, the master was impressed. You can even ask for a personalised calligraphy quote to be imprinted onto your umbrella. We had an incredible (and well-rested) journey to Taiwan on board Scoot’s brand new Boeing 787 Dreamliner. 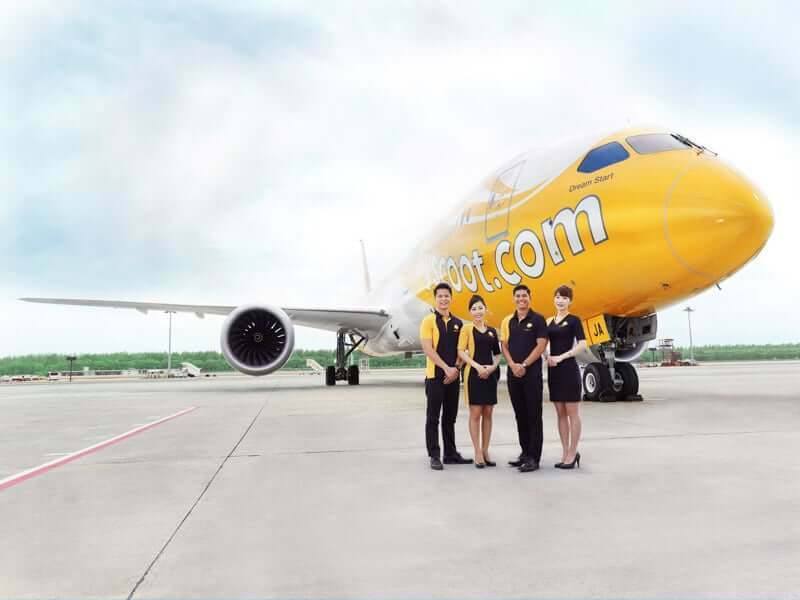 If you are looking for affordable flights to Taiwan, you’d be happy to know Scoot operates weekly flights to Kaoh Siung from S$142. The eco-friendly and fuel efficient Boeing 787 Dreamliners come with in-seat power, larger lockers and windows, WiFi services, fresher air, more humidity and cool lighting. Take it from us, this is one of the better and more comfortable ways to fly.